I'll be off this coming week, but I should be back next Wednesday! HODIE (Roman Calendar): ante diem septimum decimum Kalendas Decembres. MYTHS and LEGENDS: The art image for today's legend shows The Return of Odysseus, and there are more images here. TINY MOTTOES: Today's tiny motto is: Incepta persequor (English: I pursue what I have begun). AUDIO PROVERBS: Today's audio Latin proverb is Ditior Croeso (English: Richer than Croesus). To read a brief essay about this proverb and to listen to the audio, visit the Latin Via Proverbs blog. PUBLILIUS SYRUS: Today's proverb from Publilius Syrus is: Discipulus est prioris posterior dies (English: The day after is the student of the day before). 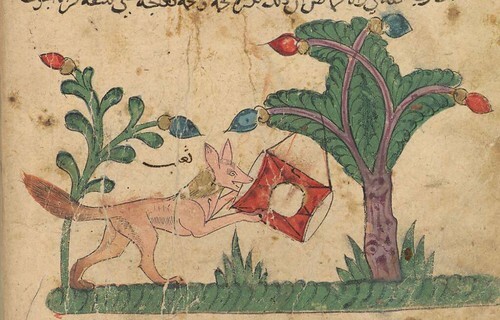 ERASMUS' ANIMALS: Today's animal proverb from Erasmus is Homo homini lupus (English: Man is a wolf to man; from Adagia 1.1.70). BREVISSIMA: The distich poster for today is Mortis Metus. Click here for a full-sized view. Love your parents; care for your family. Each person's pleasure pulls him along. 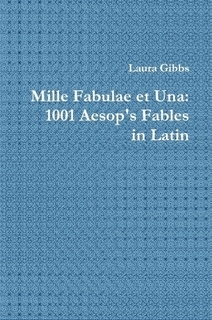 FABULAE FACILES: The fable from the Fabulae Faciles widget is Sanctus Petrus et Rusticus, a medieval fable with Saint Peter cast in the traditional role of the god Hercules (this fable has a vocabulary list). 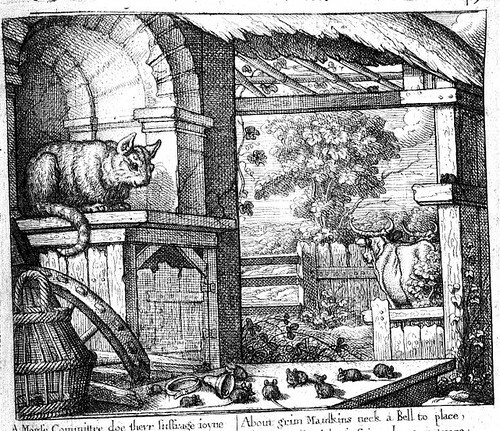 MILLE FABULAE: The fable from the Mille Fabulae et Una widget is Mures, Feles, et Tintinnabulum, the famous story that asks: Who will bell the cat? Latin Fables Read by Justin Slocum Bailey. Here is today's audio fable: Vulpecula et Tintinnabulum, with links to the audio and to the blog post.